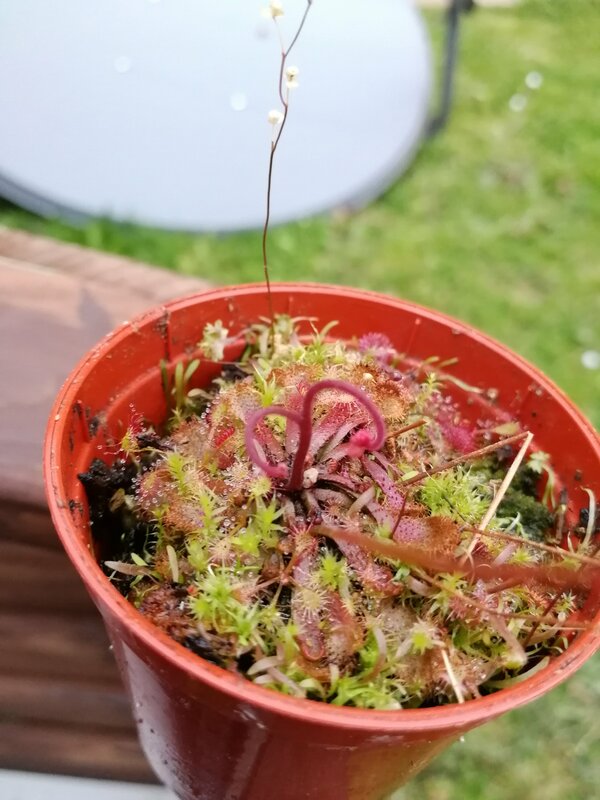 Noticed this bifurcated and very red flower stalk on one of my drosera spatulata yesterday. Is this just a one-off or does anyone know if it's characteristic of any particular species within the complex? You'll find they can all do this every so often - enjoy the extra flowers!